Jasmine Goat Milk Soap, handmade. 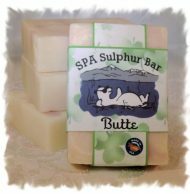 Made with Goat Milk and SPA Sulphur Water, very moisturizing to the skin. 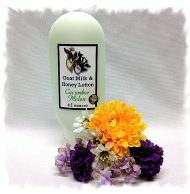 Jasmine Goat Milk soap is a fragrant soap with the scent of Jasmine, which is considered the Flower of Love. It’s sweet, intoxicating scent will take you out of your head and into your HEART. Jasmine Goat Milk Soap is handmade in small batches with fresh oils and ingredients. All soaps are aged before supplying. 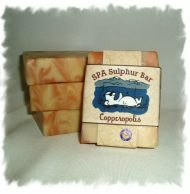 Soaps will vary in size, but will weigh approximately 5 – 6 ounces. Soaps proudly display the Made in Montana Sticker.